You would be hard pressed to find someone who has loved the North American Christian Convention more than me. In my 57 years I’ve attended 47 of them. At the age of 14 I got my first job—cleaning the NACC offices every Saturday. Beth and I have supported the NACC financially and served it in a variety of capacities for decades. My closest ministry friendships are a result of this conference. I deeply love the NACC. But in the past 25 years every denomination has seen loyalty wilt and our fellowship of churches is no exception. At the same time, a variety of new conferences have been started. Those two factors have caused NACC attendances and registrations to continue to shrink. For the past decade, each year the President’s church has had to kick in between $100,000 to $175,000 just to meet the budget. The production costs and convention center expenses coupled with smaller crowds have made the model unsustainable and poor stewardship for a three-day conference. Yet all of us who have attended experienced the strengthening of our faith and friendships. Years ago one of Craig Groeschel’s children was born in the early morning hours of a Sunday. Rather than have Craig be away from his wife and preach on no sleep, someone suggested that since Saturday’s sermon had gone so well …why not just show a video of it during the Sunday morning worship. The result was that people watched, were engaged and were moved by the preaching of God’s Word. The Spirit was “live” in that service even though the preaching wasn’t. 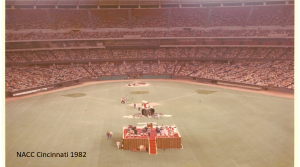 Everyone was surprised that people were truly ministered to through this different method. Who would have thought that such an unexpected, forced change could pave the way for thousands of churches to offer video venues and multi-site campuses? That’s basically how Spire came about. Due to the hectic lives of our changing culture we’ve been forced to discover new ways to inspire ministry leaders to grow healthy churches. God used a situation to gently prod our fellowship of churches to take a step of faith –a risk, and show a new way to minister to people. Here’s what’s exciting about this new venture: Spire has the ability to strengthen and encourage pastors every day of the year instead of just three days of the year. 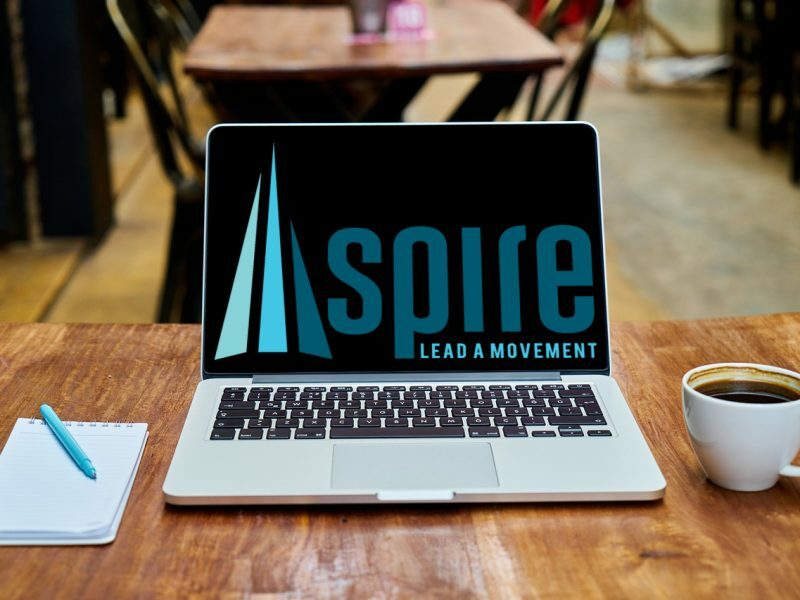 Spire will have multiple layers you can access from your laptop or smart phone: leadership training, mentoring opportunities, interviews with some of the top Christian leaders, and the opportunity to hear from a variety of leaders from small, medium and large churches. You can glean wisdom, find practical resources, and interact with others who share similar passions in similar ministries. And yes, each Fall we will continue to offer a conference where we can come together with leaders and teams from around the country. 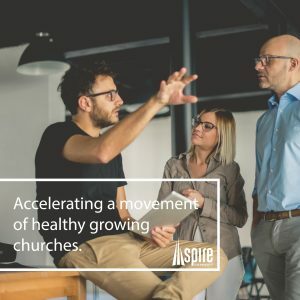 Spire’s stated purpose is to encourage and equip leaders to inspire a movement of healthy growing churches. The past decade my ministry has been energized because of a group of about 20 preacher friends who meet together three times a year. They have become a band of brothers in my life. They have provided encouragement, accountability and practical ideas. In the tough seasons when I needed oxygen to keep going, they breathed life into me…and my ministry. Scarcely do I go a couple of days without corresponding with one of these brothers. The problem in “ministry world” is that my experience is the exception and not the norm. But hopefully in the next couple of years, thanks to Spire, similar opportunities will be available for a variety of leadership roles –regardless of church size. It’s really true; we are stronger together. Spire will allow the movement of our churches to belong to you. 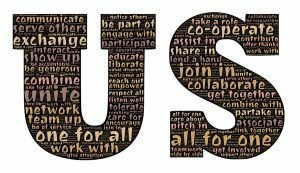 It levels the playing field and will provide for you fellowship, encouragement, inspiration and most importantly a voice. For Spire to succeed it will need our prayers, our involvement and the continued financial support from our churches. Please make plans to bring a team of ministry leaders to the inaugural event October 8-10, 2019 in Orlando. I loved the NACC, …but you would be hard pressed to find someone who is more excited about what Spire has to offer than me. How might connecting with a community of leaders like Spire impact your ministry? What impact has mentor-ship played in making you a better leader? What has been the single greatest point of encouragement to your leadership? Dave Stone serves as the Senior Pastor for Southeast Christian Church in Louisville, Kentucky. Dave also serves as the Chairman of the Board for the Spire Network. Serving at a smaller church in a smaller rural community where everyone knows each other has it’s challenges. As a lead Pastor, I find that I don’t have many who understand and can be an objective soundboard for me. I need this. I am prayerful and hopeful that Spire will help me make ministry friends and mentors. Thanks for your blog and for the work that you have put into this. I believe that the Lord can use the new methods of communicating that the world of technology has opened up and that by being flexible, as you described when Craig Groeschel’s baby was born, we open ourselves to new possibilities. Mentoring and fellowship are not always easy in the physical location in which we find ourselves and that is certainly the case for me. My service is to those who are hurting and seek the Pastor’s help with emotional and relationship matters. I am part of a growing international community who seek to help in this way and really appreciate being a part of this community too, although only in one specific area. I hope to join you next year if the Lord wills it so. Thank you Dave. Thank you all for your comments and support of Spire.